Any seasoned hunter needs to have the best case prep center. This will make sure that you will not only have enough bullets to fire while you are out hunting, but also to guarantee that your cases will glide smoothly through your barrel, especially when you prep your own cases or bullets. Now, there are many case preps and trimming centers which you can easily find in the market. While you can always get the manual ones, which makes use of a hand-held crank. But if you are looking for something that offers the ability to prep cases in larger numbers, then the high-powered or the electric centers should be at the top of your list. With the best case prep center, you will be able to handle pocket cleaning, removal of military case crimps, chamfering, deburring and even flash hole deburring with ease. We have carefully tested and reviewed 3 different case prep centers to help you choose which one you can strongly consider when you are finally ready to make that purchase. Platinum Case Trim Prep System – this is one of our favorites when it comes to adjustability. The Platinum case trim prep system can trim cases at any length. So whether you will be working with a .17 Remington or you would like to trim a high-powered .460 Weatherby, the system’s patented pending case holder assembly will surely help you trim the cases down to the length that you desire. One limitation (if you can call it a limitation) that we see is that 20mm cannon shells will not fit in the system. Its adjustable stand is designed with anti-skid liners or pads to keep the prep center in place. It is also perfect for trimming in a variety of angles and positions. The collet and bushing indexes are also adjustable to ensure faster output. 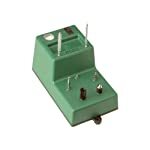 RCBS Trim Mate Case Center – the RCBS Trim Mate Case Center is perfect for a semi-permanent mounting. This means that it gives you more stability because you need to screw the case center on a really sturdy work station for you to be able to work with it. The machine’s base has 2 holes so you can screw it on the table or station. It has 5 rotating stations that are all gear-powered or driven, so you can adjust to which process or prep procedure you can use. 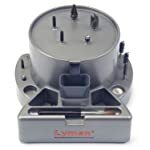 Lyman Case Prep Xpress 115 Volt – for those who are looking for a case prep center that can stay in place even while you are doing some heavy deburring or reaming, then Lyman Case Prep Xpress is the one that you can consider. It can be set in place with two screws, but can easily be moved by simply unscrewing it from your table. This is considered to be ones the best 5-1 case prep centers, which means that you can easily adjust the attachments so you can do different processers one after the other. Lyman Case Prep Xpress 115 Volt – its makers boast of it being an all-inclusive system that offers 5 of the most popular case prepping processes. This means that you can deburr (inside and outside), use a pocket uniformer, ream cases, clean case pockets, and lube necks without needing any other accessories. Now, if you are certain that what you won’t be needing any other preps, then this is really a model that will suit you. The set also comes with a clean-up brush and a removable dump pan to get rid of shavings after you are done for the day. RCBS Trim Mate Case Center – inside the box of an RCBS trim mate, you will find an inside neck chamfering tool, an exterior deburring tool, 1 large and 1 small primer pocket brushes, 2 case neck brushes and a lubricant for dry case necks. We have already mentioned that the case center can offer about 5 prepping procedures (using its 5 adjustable stations): inside chamfering, external deburring, flash deburring, which is an optional station, primer pocket brushing and uniformer, and a military crimp remover, also an optional prep procedure. What we were looking for is its versatility in accessories and mods, but we were satisfied with the 5 stations just the same. Platinum Case Trim Prep System – for a multitude of case prep procedures, this is one model and brand that is worth your time. Aside from the actual center, it comes with different types of tools and accessories to help you prepare your casings faster and easier. In detail, when you open a box of the Platinum case trim prep system, you will get the prep center, high speed steel cutters, a deburr tool, a chamfer tool, 6 Case shoulder bushings in different sizes, as well as 3 case body collets, and 2 different primmer pocket cleaners. The system doesn’t need any shell holders, which makes it easier for you to switch from one length or size to the next, with utmost ease. When it comes to output, the system’s 3 output shafts will accept all types of accessories for case trimmings. So trimming accessories with 8 to 32 threads will work well. RCBS Trim Mate Case Center – the rotary power stations are reliable and strong enough to perform every task that it promises to do. When it comes to design and materials, the motor’s housing is made of a durable type of plastic that can withstand bangs and sudden collisions. Its simple design is refreshing to the eye, since it projects the image of simplicity and convenience. Lyman Case Prep Xpress 115 Volt – this runs on a heavy-duty motor that’s encased in metal. And Compared to other prep centers, there are different versions that you can choose from depending on the voltage that you want. And while the one that we have tried runs on 115 volts, you can also get a 230-volt version! The design is sleek, elegant and simple, which is great because potential users will not be intimidated by the way it looks. And its design doesn’t fall far off from its usage and how well it performs, because it is rather easy and quick to operate! Platinum Case Trim Prep System – made of high-grade aluminum and steel, you can be sure that your prep center will last for a very long time. The cutters that come with the system are made of ultra-hard and high durable steel that stay sharp even after trimming more than a thousand rounds of casings. To further lengthen the life of your case prep center, the Platinum Case Trim Prep System comes with a built-in storage container or box that will help you hold extra parts, tools, and accessories. And while the design is impressive, the motor runs on a slower speed compared to the others. You might be surprised at how slow it runs especially if you are used to those with faster speeds. Hands down, the Platinum Case Trim Prep System met our expectations when it comes what it can deliver and more. Because it is versatile and can easily upgraded, we can consider this as the best case prep center in the market compared to the others that we have tested. The Lyman Case Prep Xpress 115 Volt comes in close second, perfect for those who do not need to do more than 5 case preparations.